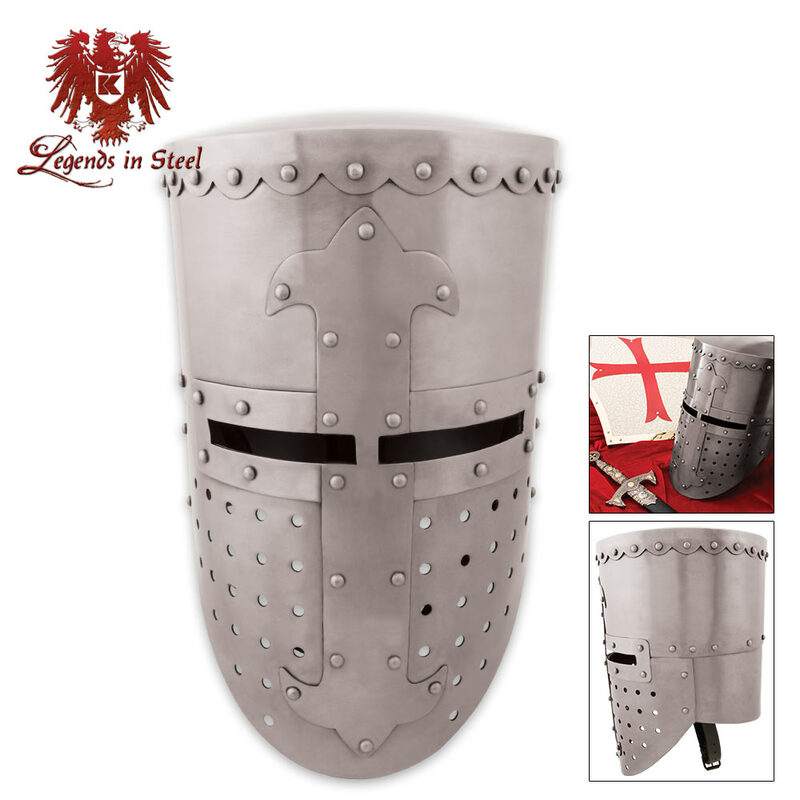 Legends In Steel Crusader Battle Helm 14 Guage Steel | BUDK.com - Knives & Swords At The Lowest Prices! 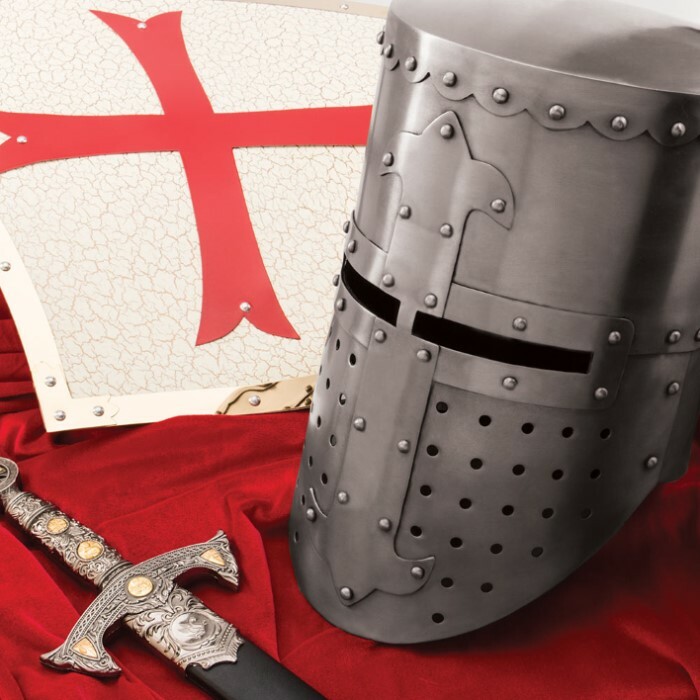 You will be ready for some old-school battle with our Legends In Steel Crusader Battle Helm. Inspired by battlers from the Crusades, this war helm is constructed of 14-guage steel with an aged and distressed finish for an authentic look and feel. Get this modern-day interpretation of an old-world relic for your collection today!